The British Snowsports Fund supports the UK’s future Olympic skiers and snowboarders. All the income that it generates is spent on giving snowsports athletes the best possible chances to excel in their sports - from young children just starting to show promise all the way through to athletes training for the next Winter Olympics. When you contribute to the British Snowsports Fund you’re helping the current and future stars of British snowsports. What’s the aim of the Fund? Our aim is to generate income from recreational skiers and snowboarders that will be used to boost the performance of elite British snowsports athletes and increase grassroots participation in the sports. Success at an elite level is shown to drive public interest in sport, and the aim is that investing in this way will increase the number of Britons participating in skiing and snowboarding in some form. Who are some of our athletes? Our big names athletes like Jamie Nicholls and Billy Morgan receive funding from the government via UK Sport to support their coaching programmes and travel. Cara Brown - Cara is the British Ladies Alpine Champion, and she’s within the top 150 grand slalom athletes in the world. Getting the right coaching is crucial to help Cara progress, so we want to help her work with the best team possible in the run up to PyeongChang 2018. 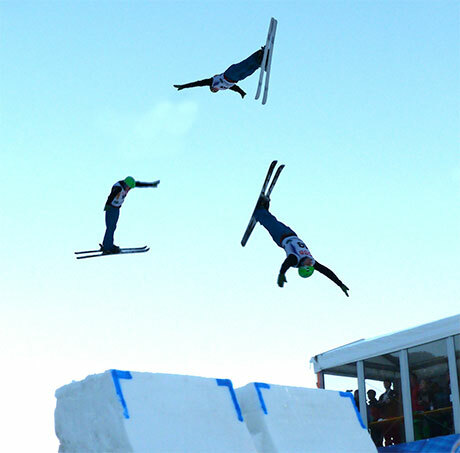 Lloyd Wallace - Lloyd is a aerials athlete, currently ranked 25th in the world. Based on his form over the last season, we believe that Lloyd will make the top 10 at PyeongChang, with a chance that he will medal, but we need to support him to attend a full season of competitions so he qualifies for the Games. Emily Sarsfield - Despite only returning from serious injury last year, Emily is ranked 25th in the world in ski cross. She currently works in a number of different jobs to fund herself, which means she can’t dedicate as much time to her training as her competitors. We’d like to be able to offer her funding so she can concentrate fully on preparing for 2018.